I know what you babes are thinking – “A SATURDAY blog post? ?” haha I have a very good explanation for this! I recently found a tooooon of GORGEOUS palm print outfits under $25 and I just couldn’t wait to share it with my babes! Now that spring season is finally in full swing, I’m super excited to be wearing all the vibrant and fun prints in the world! 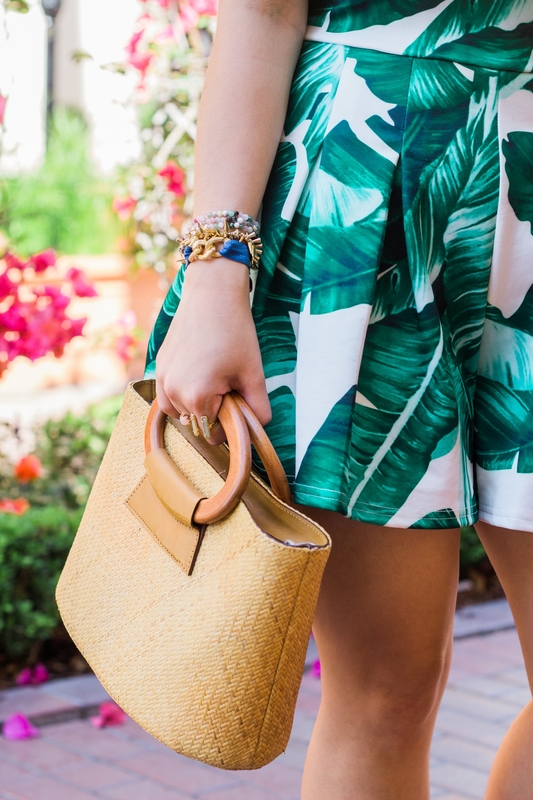 My favorite print EVER is definitely the palm leaf tropical print! It’s seriously just so gorgeous and dreamy, emitting SoCal tropical vibes! 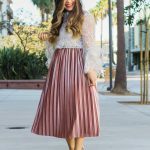 I don’t know about you, but I seriously can’t get enough of the palm print trend so today I’ve rounded up some of the most affordable palm print outfits under $25. From dresses, to rompers, to jumpsuits, to two-piece co-ords, the choices are endless and you are bound to find something you like! 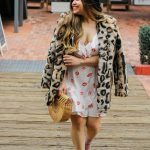 I also love that you don’t have to break the bank trying out the palm print trend with all these palm print outfits under $25! The palm print off the shoulder romper that I’m wearing is from last summer and unfortunately sold out quicker than I could say “palm print” BUT I linked an almooooost identical palm print off the shoulder dress that’s only $16 here and down below! The dress features gorgeous ruffle frills as well as bell sleeves that will be sure to turn heads! I’m also linking a very affordable Topshop Palm Print Cross Back Slipdress dupe that’s only $9 (*gasps*), a gorgeous palm print matching crop top and pants set that’s only $24, the prettiest palm print sleeveless jumpsuit that’s only $18 (which I actually ordered because I just couldn’t resist!!! ), and the most stunning palm print mock-wrap dress with the cutest side knot detailing for only $16! I found SO many affordable palm print finds and I’m ECSTATIC!! I’m literally trying to practice self control over here and not buy everything because my closet is already filled with so many palm print outfits! haha 🙈 Be sure to check out my full round up down below for affordable palm print outfits under $25! My woven bamboo bag was actually a gift for my mom that I raided from her closet! haha 🙈 I believe it’s handmade in either Indonesia or Thailand. I know the bamboo bag trend is SO in right now and I just can’t get enough, especially all these gorgeous Cult Gaia bamboo bags that have been circling around the ‘gram! The problem with these Cult Gaia bamboo bags are that they cost a pretty penny! Luckily, I found SO many amazing Cult Gaia dupes that are a fraction of the price! The Cult Gaia Ark Natural dupe bamboo bag is only $41 for the small size and $44 for the larger size; The Cult Gaia Acrylic Ark Black dupe bamboo bag is only $84; The Cult Gaia Acrylic Ark Pink dupe is only $73; and the Cult Gaia Acrylic White dupe is only $69. Besides the regular shape that made Cult Gaia SO popular, I also found dupes for their Lilleth bamboo bags! The Cult Gaia Lilleth Natural dupe bamboo bag is only $72 and the Cult Gaia Lilleth Brown Stain dupe bamboo bag is also only $72!